Who needs a single player mode, anyway? Taking on robot masters eight at a time is a whole lot of well-established fun. But have you ever sat down with Mega Man and thought "I need to share this frustration with a friend."? 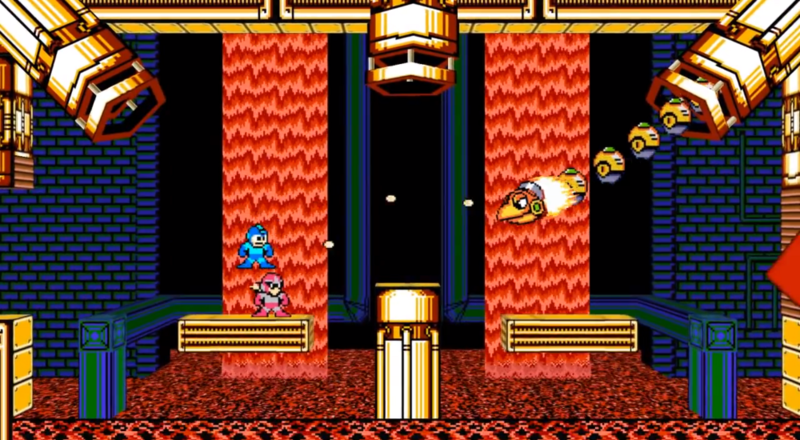 The fan-made Mega Man 2.5D knows all about that, and the recently-released beta demonstrates how much fun Mega Man and Proto Man can have together. The demo features just one level, a reworked version of Shadow Man's stage, but it shows off the concept really well. Players have to work together to take down various robotic machinations throughout the stage, hopping on each other's heads for height and solving a few basic puzzles along the way. It's still very much an old school Mega Man experience, but the co-op fits really well. A poll is currently available on the website to determine which stage will be remade for the next Mega Man 2.5D release. If you vote for anything other than Air Man, you will be eaten by one of those evil red air tikkis in the night. You have been warned. Mega Man 2.5D is currently available as a free download for PC. It supports two player local co-op with plans to add online co-op at a later date. The current version does not feature a single player mode. Page created in 0.9714 seconds.